The family would like to thank everyone for attending the service and supporting them; also for your generosity in the donations made to the Alzheimer’s Society. it was on the train one day that he met Audrey, his wife to be. National service called in the early 1950’s and he joined the navy and was based in Chatham and Portsmouth – I think he saw quite a bit of the world. 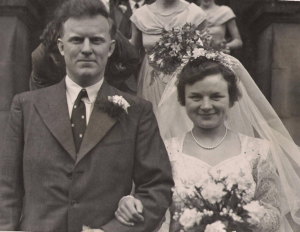 He married in 1952 in Skipton and at that point lived in Riddlesden where Judith and David were born. A move to Wilsden brought his first Headship at the local Primary School in Tweedy Street. Judith & David attended his school – although it was strange having their father as Headteacher! 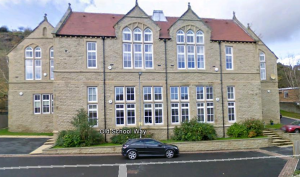 His next Headship was in Baildon – he was in charge at Sandals School – at this point we they to Greencliffe Avenue, Baildon. His last Headship was Ladderbanks Middle School a project he saw from the beginning with its construction in the early 1980’s. 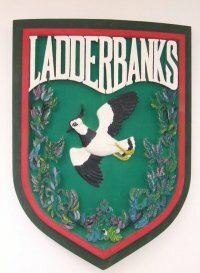 Thanks to all past pupils for their memories on ‘Ladderbanks Forever’. Hundreds, possibly thousands, of children passed through his schools and I’m sure he could have told you something about every one of them! 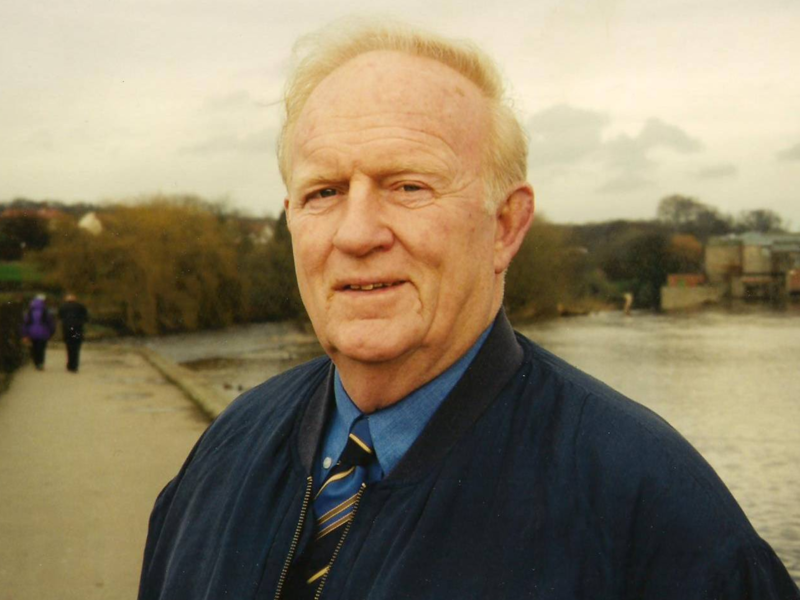 George was always involved in the community – in Bingley he joined Round Table, 41Club and Rotary. 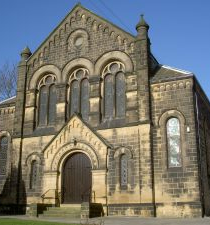 In Baildon he was a member of the Golf Club – President; the Soldiers & Sailors (The Shroggs); The Church – Steward and much more. He loved his sport – he played rugby in Keighley, cricket in Wilsden and was an avid supporter of Bradford City. Latterly there was nothing more he would enjoy than a stroll round to Jenny Lane to watch Baildon Cricket Club. Friends & neighbours were important to the family and they made many lifelong contacts in the village. Audrey suffered a long and debilitating illness and George was exemplary in his care for her as were the many friends they made over the years. Following her passing in 2006 George ‘lost his way’ and the early signs of dementia began to appear. The family would like to thank the many people who supported him when he lived in Moorland Crescent – Jean Woodward in particular and subsequently the staff and Judith who cared for him in his Nursing home in Newcastle.